Bigg Boss 10: Winner Manveer Gurjar's Mother Finally Opens Up On Son's Marriage Rumors! Bigg Boss 10: Winner Manveer Gurjar’s Mother Finally Opens Up On Son’s Marriage Rumors! 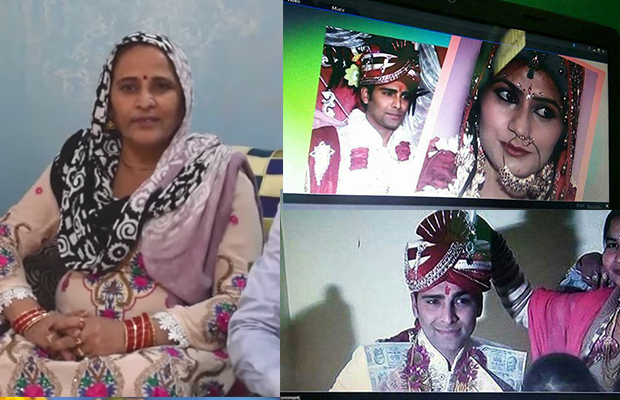 The internet is all flooded with wedding pictures of Bigg Boss 10 winner Manveer Gurjar. The Indiawaala contestant who won the title of Bigg Boss belongs to a village in Noida. Everyone was shocked after seeing the pictures of the Gurjar boy in ‘Dulhe raaja’ avatar. Later adding to the news, a wedding video was also shared by a regional website which witnessed Manveer‘s ghudchadai ceremony. Manveer Gurjar gained popularity from the controversial show Bigg Boss. His friendship with co-contestant Nitibha Kaul also made news when they became good friends and were seen as the new couple of Bigg Boss 10. But Manveer’s bhabhi opened up on the type of ‘bahu’ they are looking for Manveer and made it clear that Nitibha does not fit in the list. Previous articleVideo: This Real Side Of Bigg Boss 10 Winner Manveer Gurjar Will Leave You In Shock!